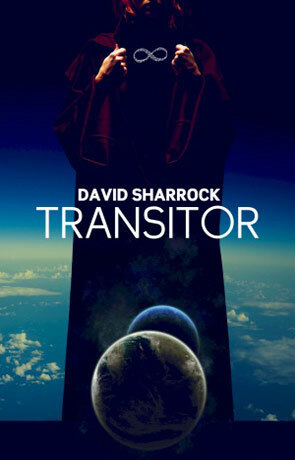 Transitor is a hard science fiction novel and the debut of David Sharrock. The Human race have spread out across the Galaxy by the means of the iNet transportation network - a vast sprawling system that allows Galactic travel by means of a subethernet. Controlling this mindbendingly complicated system is the Terran biosphere known as Gestalt, almost godlike in power. Special Agent Luth has managed to buy an illegal holiday on planet Earth and plans on taking a well earned respite from the riggers of working for the OHQ. Before he's even had chance to unpack and start having some fun, he finds out that his "holiday" was rigged and he is forced in to a very dangerous mission by his overly ambitious boss. He soon finds himself in a very dangerous world of secrets and pursued by deadly Synthetic Assassins. I must admit to being genuinely surprised by this novel, there is an incredible amount of detail that has gone into building a very believable future with an excellent use of the latest technologies, current theory and the authors own imagination. The future world of Transitor is dangerous, rich and very high tech. The novel makes good use of light hearted humour and dramatic action to involve the reader and keep the plot travelling along. Although quite a "hard" science fiction novel, the quality of the writing and the witty, friendly style makes the novel very easy to read. Transitor is a sprawling, epic tale of a high tech future where humans and synthetics exist alongside each other, where transport to distant worlds isn't just possible, but routine. The principal protagonist is both very human and quite likable while the antagonist is rewardingly disturbed and quite violent (or at least part of her is). There are a few rough edges, as you might expect from a debut novel but the quality of writing, fascinating characters and detailed world building more than make up. Transitor is an exceptional novel of scope and manages to ask some very serious questions without getting bogged down despite some very detailed technical information. The plot is very original, thought provoking with just the right pace, filled with rich and detailed characters. This is hard science fiction as it should be and no reader of science fiction should miss it. Written on 3rd September 2010 by Ant.